Nothing is too good to be true, nothing is too wonderful to happen, nothing is too good to last. In the article 5 ways to lift your mood I mentioned a wonderful book, The Secret door to success by Florence Scovel-Shinn. Later, after reading my article, my friends asked me about it. Since it raised so much interest, I thought I’d tell you more about this wonderful book. So I read it again, just to have it fresh in my mind. When we feel like we’re drowning in our own sorrow, when the planets align to give us the final blow, we need a hook, the thing that makes all dark thoughts disappear, bringing us ashore. 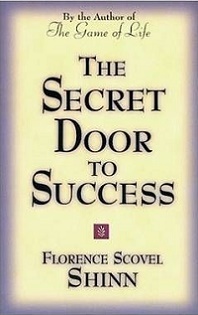 The book Secret door to success is that kind of book. I read it in one of those moments in which no mantra like “this is a wonderful day” was working. For a few hours I drifted into a world where everything was possible, a world where wishes come true and happy thoughts make good things happen. Those who speak most of illness, have illness; those who speak most of prosperity, have it. 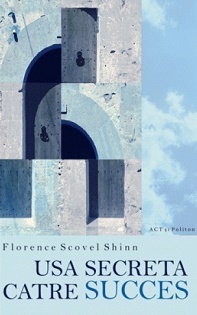 Considered to be a real precursor of motivational literature, Florence Scovel Shinn encourages us to stop listening to the voice that always tells us “this is impossible.” She encourages us to follow our dreams and instincts, and believe in ourselves, believe that the thoughts we have will become reality sooner or later. We need to have faith and self-discipline in order to break down the walls that surround us. I find it incredible that the author was giving these lectures more than sixty years ago. In time, people’s mentality has changed, but those lessons have remained as vivid as when they were spoken for the first time. Now is the appointed time. Today is the day of my amazing good fortune. I recommend this book wholeheartedly. I listened the audiobook twice, I also read the printed book – there are sections that I really wanted to emphasize, to write them down. There is nothing new in it. There are things we all know but we unconsciously ignore them. There are those little things that matter, that could change our lives if we gave them the importance they deserve. It’s the force of attraction, positive thinking, kindness and love. It’s all about the words that we speak, about our beliefs. Whether you opt for the printed book or audiobook, you must read it now. It’s wonderful and it will change your day and (maybe) your life!